Insite, North America’s first legal supervised injection site, opened in 2003 in Vancouver’s Downtown Eastside. The facility operates under a Health Canada exemption from prosecution under federal drug laws. Philadelphia officials visited the facility as it works toward opening one in this city. State Rep. W. Curtis Thomas has come out against safe injection sites in Philadelphia, saying they are "radical and dangerous." Thomas is urging city officials to halt their plan to operate the facilities, after many in attendance voiced opposition to the controversial initiative during a hearing Tuesday in Kensington. RELATED STORY: What’s next for ‘safe injection’ sites in Philadelphia? 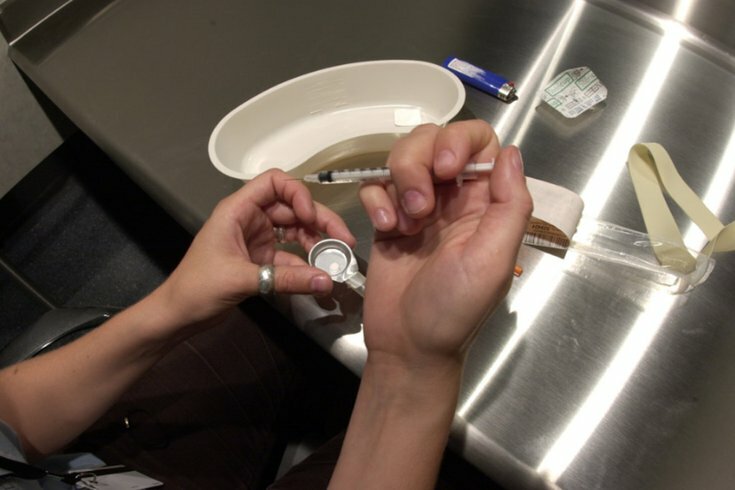 Acknowledging a need for radical intervention to address the drug crisis in the city and state, Thomas said in a news release that it would be difficult to go back on safe injection sites once they are established. “At what point do we practice what we preach? We consistently tell young people to obey the law and to not use drugs. We cannot use this situation to bypass the law and engage in illegal conduct,” Thomas said. "What is to stop young people from starting to use drugs if we offer them a safe place to take them? Some city officials, including the Philadelphia health commissioner, believe the facilities can reduce the number of drug-related deaths, Thomas noted. Thomas, who represents the 181st Legislative District, which includes parts of North Philadelphia and Kensington, said he remains open to talking about new ways to combat the drug epidemic. Residents can provide feedback to Thomas' stance here.